As summer ends, the time for fall harvests quickly approaches. I wouldn't say that I have "crops" to harvest, as my garden isn't large enough to qualify for that. I do have plants that are producing though, like it or not. I'll take a look at two today -- think of it as fall garden preseason. 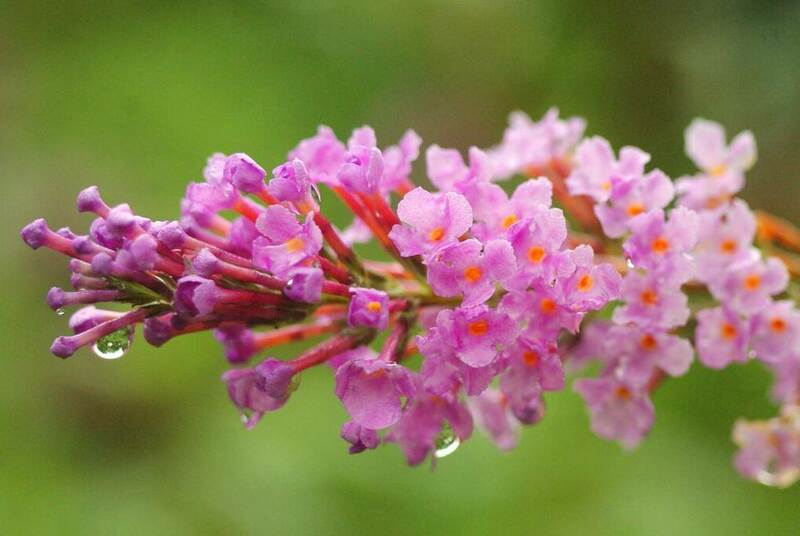 The first is a plant that I never want to produce anything but blooms: the Buddleia or "butterfly bushes". 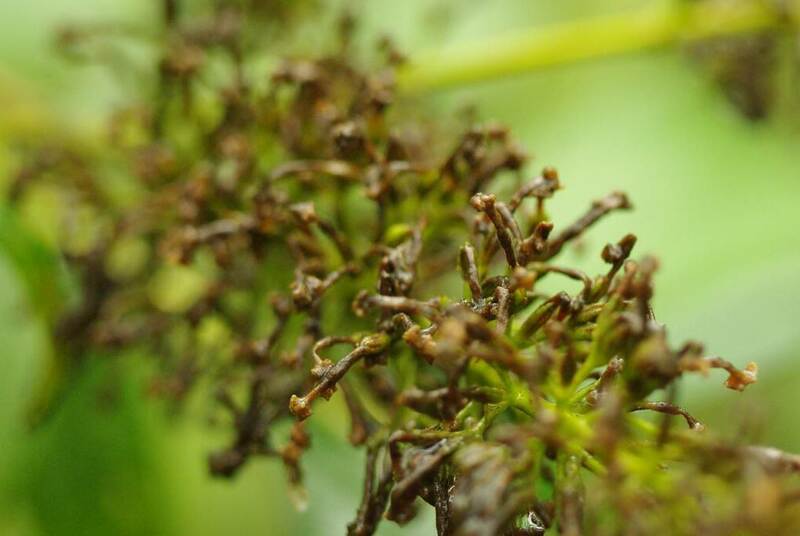 Produce bazillions of seed pods. As this small example shows, there are lots of these to remove. Hundreds I'd say. 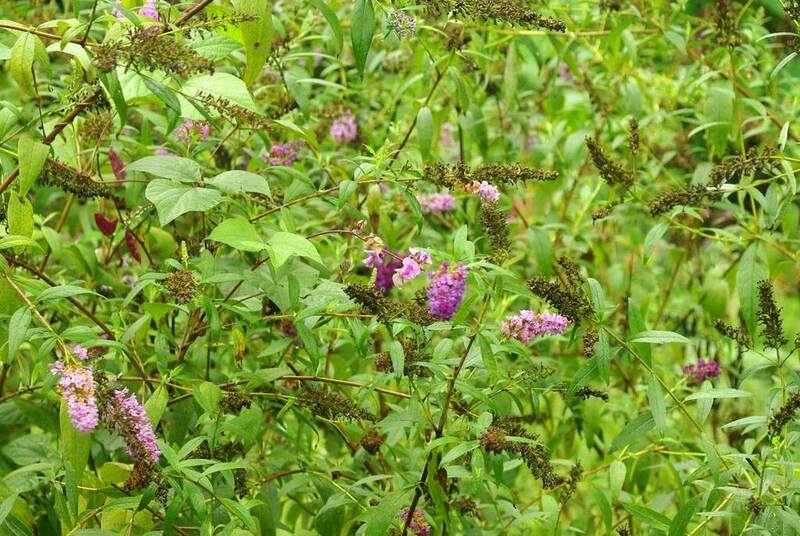 If I don't remove them I'll have even more Buddleia volunteers next year -- I've already let three large plants grow from seed, and I find the little seedlings all over the garden. I really don't need more of this plant, no matter how wonderful their flowers smell and how many butterflies they attract. 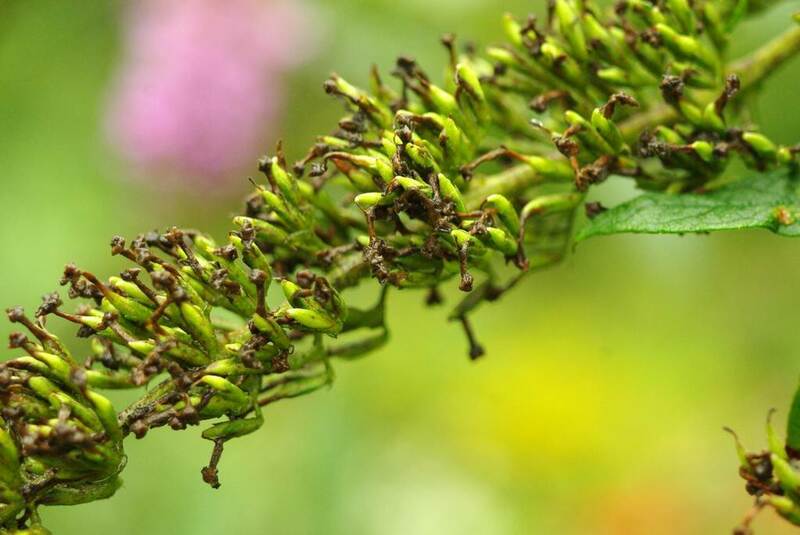 Buddleia seed is the first "harvest", and it's bountiful -- unfortunately. Next up is potatoes! This is the first year I've ever grown potatoes, and I grew them in large containers on my driveway. It must be doing good things underground, right? Okay, nothing to get very excited about. It was the smallest container, and harvest was a bit early. The others will surely have produced better when I dig them up in a few weeks, right? 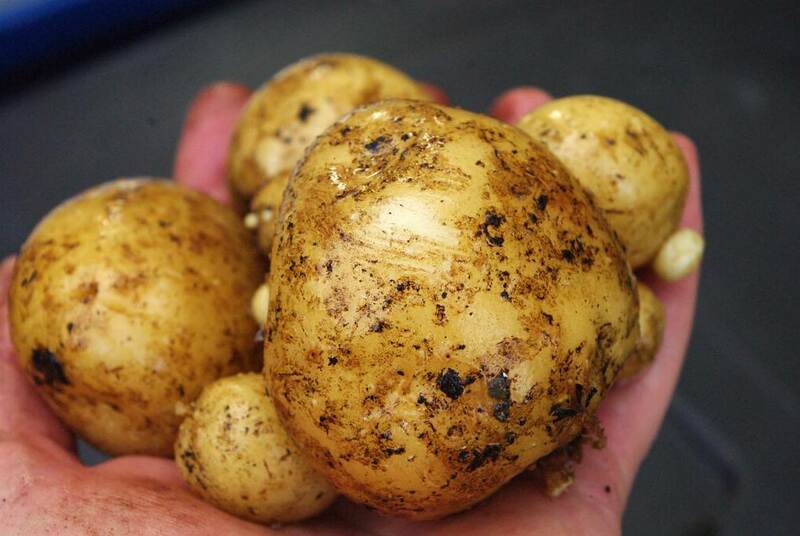 Still, it's my first potato harvest ever, so notable and exciting for that reason alone. 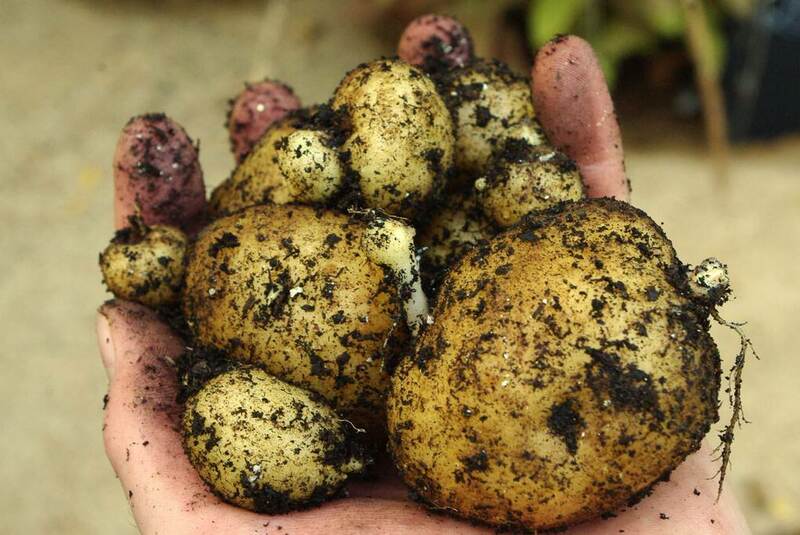 Have you heard of the burlap bag method of growing potatoes? Wait...did I read that here? Top many garden blogs! 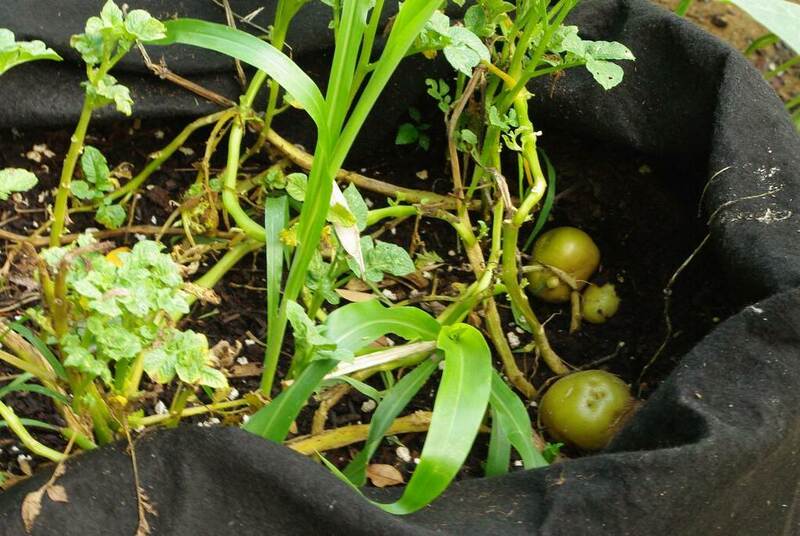 Lisa -- you'll notice that in the photo of the 2 exposed potatoes, that plant is growing in a cloth bag. 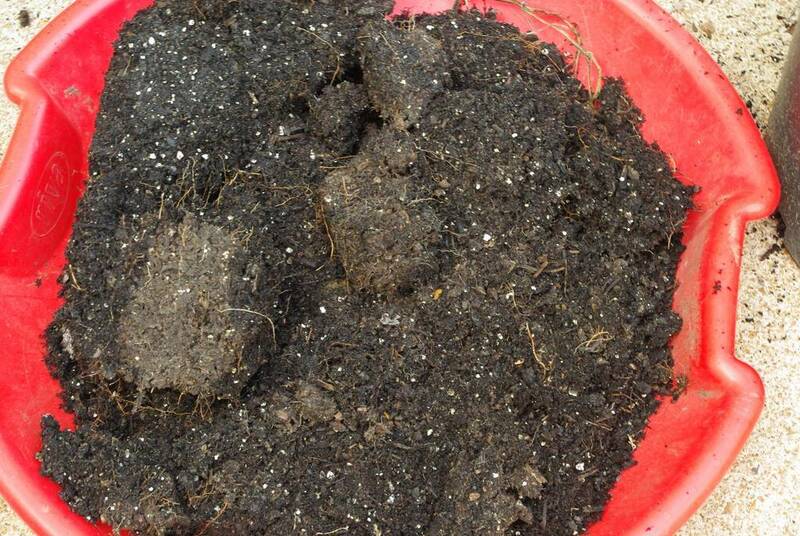 I used 4 large nursery pots and one large homemade bag. I'm cutting the pods off of mine today....I forgot all about them until I saw one or two burst open!!! 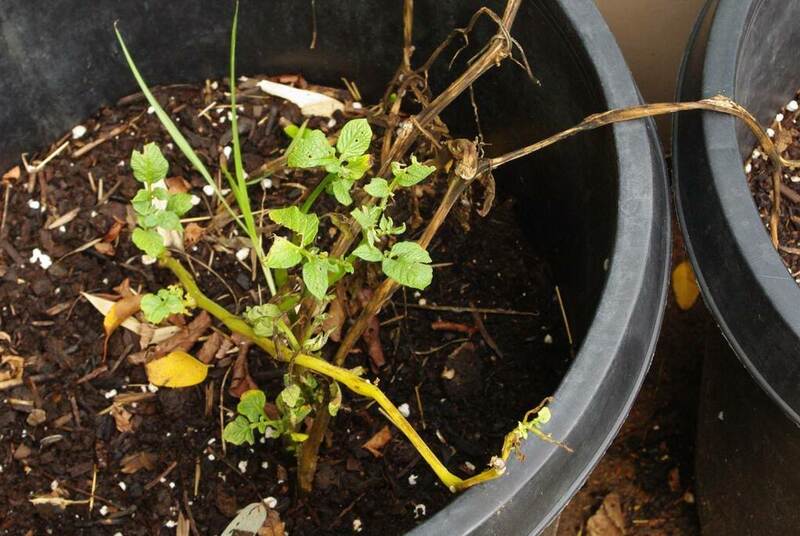 I have my first potato plant growing (also in a bag). Good thing I read this - I did not know those green ones are poisonous and might have used them. Your harvest is small, but it still looks good!